Youth symbolize vitality and a future – and the UN, often teetering on the brink of irrelevancy, is keen on inviting young people into its midst. But a recent forum for youth exposed a dangerous trend – and an opportunity for pro-lifers. The forum gathered opinions from youth in preparation for a high-level meeting of the UN’s Economic and Social Council (ECOSOC) next month. Young C-FAM delegates discovered the panelists, moderators, and other participants at the two-day affair held radicalized views and a deeply pro-abortion and anti-religious bias – not at all representative of youth worldwide. So the members of C-FAM’s International Youth Coalition (IYC) spoke up in defense of the most youthful human life – the unborn – and defended the role of religious groups in caring for the world’s most vulnerable and impoverished citizens. “The world we want is a world that wants us!” was the forum’s unofficial motto. This could be construed as a pro-life sentiment, IYc members blogged, embracing the youngest of children – unborn babies. However, it was not taken that way by the most outspoken participants, who also exclude people with religious beliefs. “People are using traditional religion as an excuse to keep condoms and contraceptives out of the hands of youth,” said a Planned Parenthood-affiliated panelist in a session on development in Africa. He called for a stronger focus on women’s reproductive rights, a euphemism for abortion. The moderator of the panel echoed his statement. The moderator endorsed Hetzke’s comments, noting that religious organizations provide most of the world’s medical services. On the second day, a session on education found several youth delegates calling for internationalized education standards that include comprehensive sexual education and training on lesbian, gay, bisexual and transgender equality. At the end, each youth delegate was allowed to give closing remarks. Despite coming from a region with some of the most pro-life laws in the world, Latin American representatives issued the strongest pro-abortion statements. “States should express and apply policies and programs legalizing abortion; making it accessible, risk free, and free of charge, as well as eliminating any waiting period and any counseling sessions that involve parents,” one young woman said. It was disappointing but indicative that the largest round of applause during the forum went to a Chilean youth calling for even more women’s reproductive health rights. To be young and not a revolutionary is almost a “biological contradiction,” he said, and endorsed a revival of Occupy Wall Street-like protests against capitalism. The call for revolutionary anti-establishment activity has been parroted at the UN’s high levels. 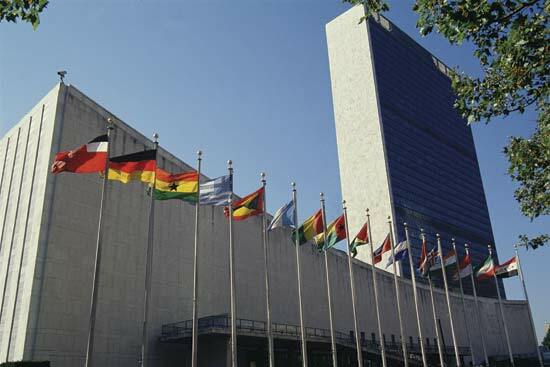 A senior UN Population Fund official recently invoked the Occupy movement to rouse youth into demanding a pro-abortion reproductive rights agenda for adolescents. It remains to be seen whether the pro-life perspective will be represented when the summary of the forum’s discussions and recommendations are presented at the ECOSOC high-level meeting in July.